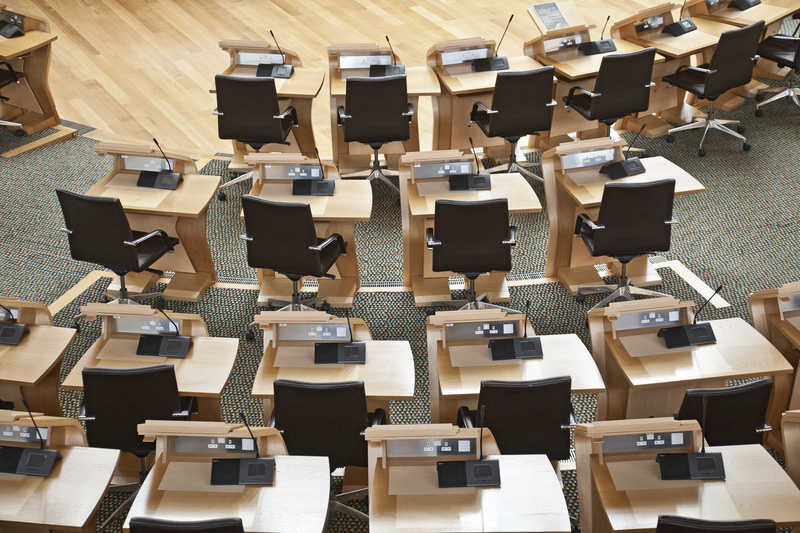 The Scottish income tax changes are once again the focus of political debate, as the government’s budget plans were voted through after an agreement with the Scottish Greens. Scotland introduced a five-band tax system in 2018. The latest budget for 2019-20 altered the thresholds at which taxpayers would pay more. Scottish Labour has criticised the changes for not going far enough, and for including an alleged tax cut for the wealthy, including SNP ministers. Many higher rate taxpayers earning over £100,000, including SNP Ministers, will receive a tax cut in the SNP’s Budget plans. The SNP’s budget was passed after an eleventh-hour agreement with the Scottish Greens to include more funding for local councils, an extension of the council tax cap and a potential ‘tourist tax’. Scottish Labour’s criticism was focused on the changes in tax liability compared to last year, which was announced in the draft budget. The five-band threshold remains in place, with a starter rate of 19 per cent, a basic 20 per cent rate, a 21 per cent band, and higher earners on 41 and 46 per cent bands. What has changed is the amount of money a person has to earn to qualify for the lower bands, together with the amount people can earn before they start paying tax. Central to the Labour criticism of the tax system is a reported decrease in tax for high rate taxpayers. According to analysis from the Scottish Parliament’s research body, SPICe, the amount of tax paid by all Scots earning up to £124,375 will reduce. This is primarily due to the increase in the personal allowance, which is the amount of money you can earn without having to pay income tax. This amount increased to £12,500 in 2019-20, and is set by the UK government. This means that there will be a reduction in income tax next year for those earning at the rate of Scottish cabinet secretaries, which is £111,359. However, salaries for Scottish ministers are still subject to a voluntary pay freeze at 2008-09 levels, so they will voluntarily pay back a portion of the money. As a result, cabinet secretaries will continue to earn £96,999. So Labour is correct to say that Scottish ministers would be eligible for the small reduction in income tax in 2019-20. However, we should note that everyone up to £124,375 will get a reduction, and the new rates do not include a specific decrease for high earners. Higher earners will also still be taxed more than those earning at the same rate in the rest of the UK, due to the five-band tax rate introduced last year. The Scottish Labour claim that ministers will get a cut in the new income tax rates set out in the 2019/20 Scottish budget is accurate. According to official analysis from the Scottish Parliament, a small reduction will be given to everyone earning around £124,000 and under. However, this is not a specific tax cut and is mostly down to the increase in the tax-free personal allowance set by Westminster. Ferret Fact Service (FFS) is a non-partisan fact checker, working to the International Fact-Checking Network fact-checkers’ code of principles. All the sources used in our checks are publicly available and the FFS fact-checking methodology can be viewed here. Want to suggest a fact check? Email us at factcheck@theferret.scot. The table in this story was amended on February 8. An earlier version of the table had the tax rates for each financial year incorrectly labelled. So really the only saving is made as a result of the UK governments lowering of the tax threshold which the Scottish government is unable to influence. The claim specifies it is as a result of the SNP budget, which is clearly not the case. Really ferret give yourselves a taking to. A Non partisan and impartial “mostly true” it certainly is not. I would suggest that a FFS would be far closer to the truth.